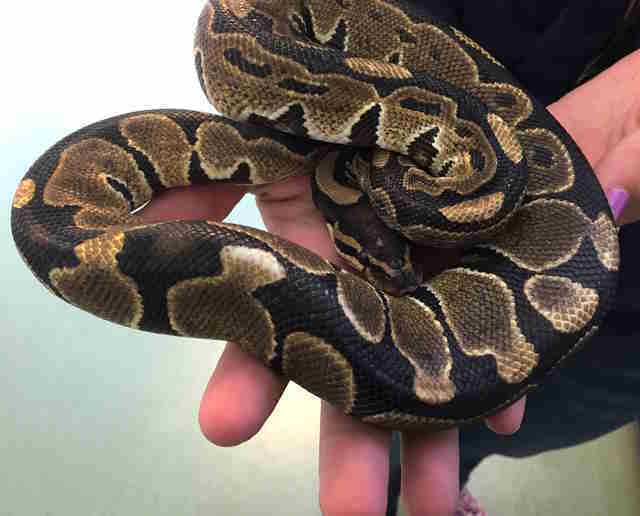 Rumplesnakeskin is a "very friendly snake" who "likes to be held" — and he just got adopted! Riding a bus in Palo Alto, California, last month was a very unusual passenger. 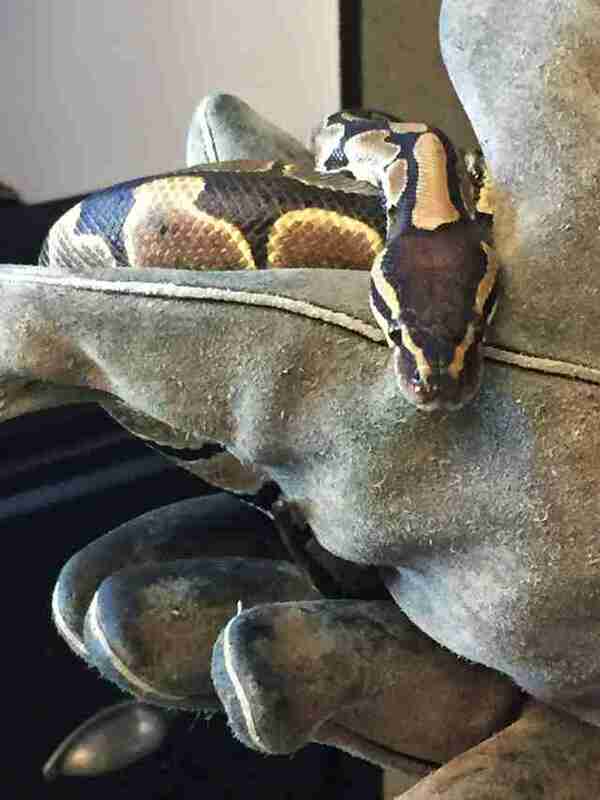 "No one is quite certain how the snake ended up on the bus," Buffy Martin-Tarbox, communications manager for the Peninsula Humane Society & SPCA (PHS/SPCA), told the San Francisco Gate, "but we are grateful someone spotted him and he was safely removed from the bus." 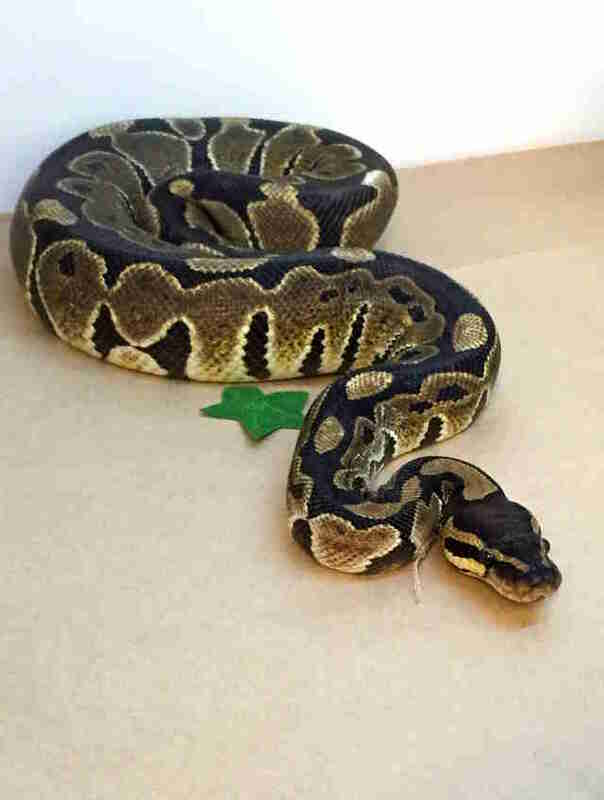 The young ball python, who is about 2 feet in length, was brought to the shelter, where he was named Rumplesnakeskin and observed to be a "very friendly snake" who "likes to be held." 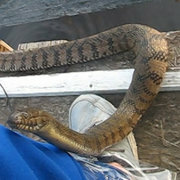 He was also given a patch of ersatz grass on which to slither around, while waiting for the perfect forever home. "He’s very curious and enjoys being handled," Martin-Tarbox told The Dodo. "He’s shedding right now and we’re trying to not handle him too much while he’s going through this process." 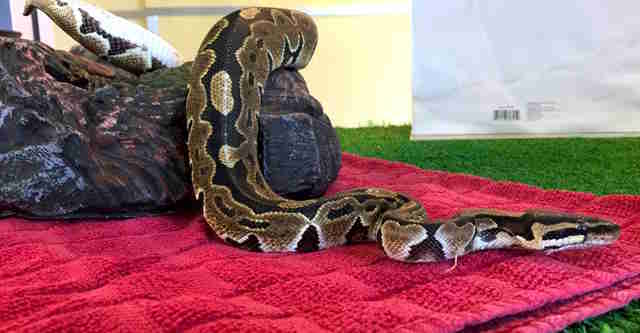 Quite fortunately, Rumplesnakeskin didn't have to wait very long at all for a forever home. 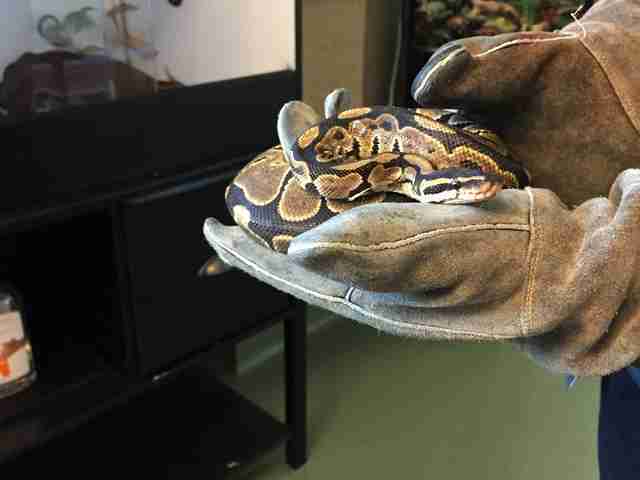 This week a family fell in love with the slithery sweetheart. 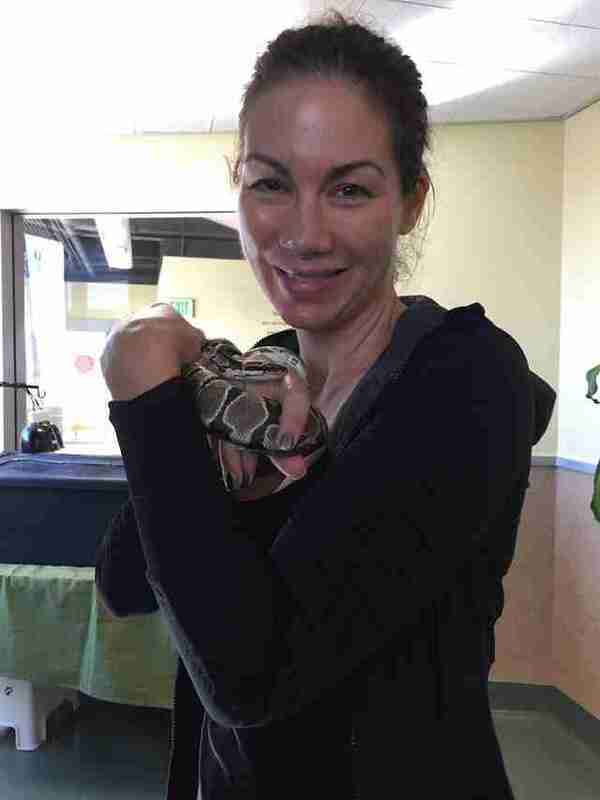 Heather Beck, a nurse who lives in San Mateo, California, took Rumplesnakeskin home on Wednesday. 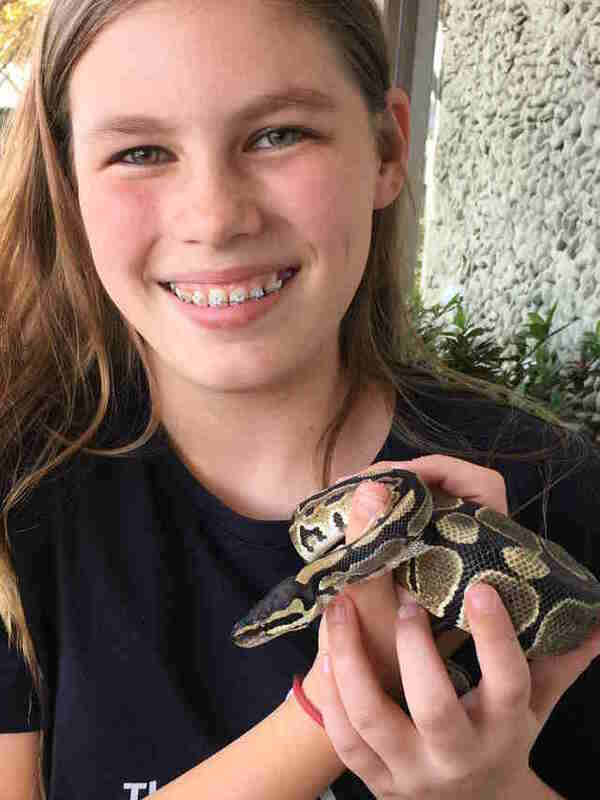 "Her daughter Brianna is 12 years old, already has three snakes and absolutely loves reptiles," Martin-Tarbox told The Dodo. 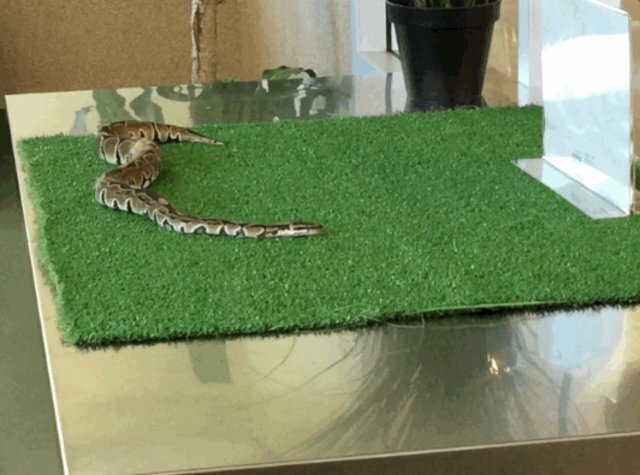 Rumplesnakeskin’s new family will include the three other aforementioned snakes, as well as two dogs and a cat — all of them are rescues.